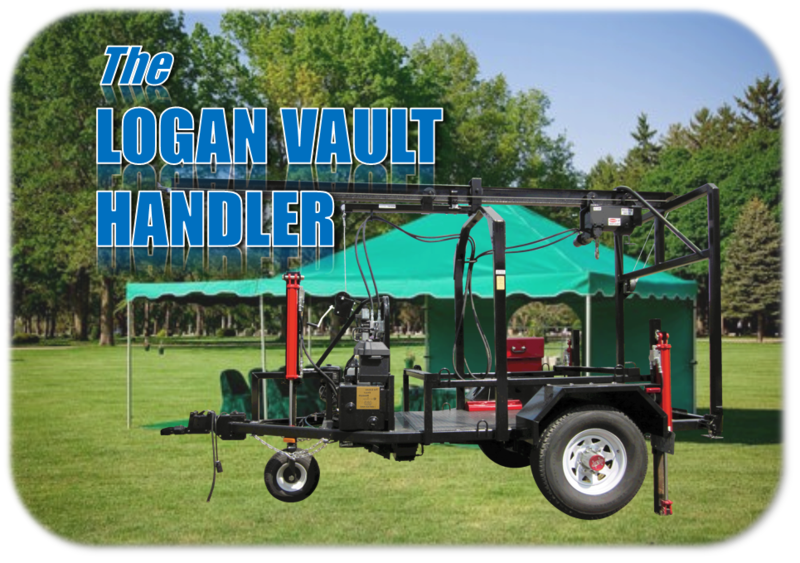 They are built specifically to place vaults and therefore, every feature, function and option available is designed to make it easier, safer and faster to set burial vaults; saving you time, money and labor. 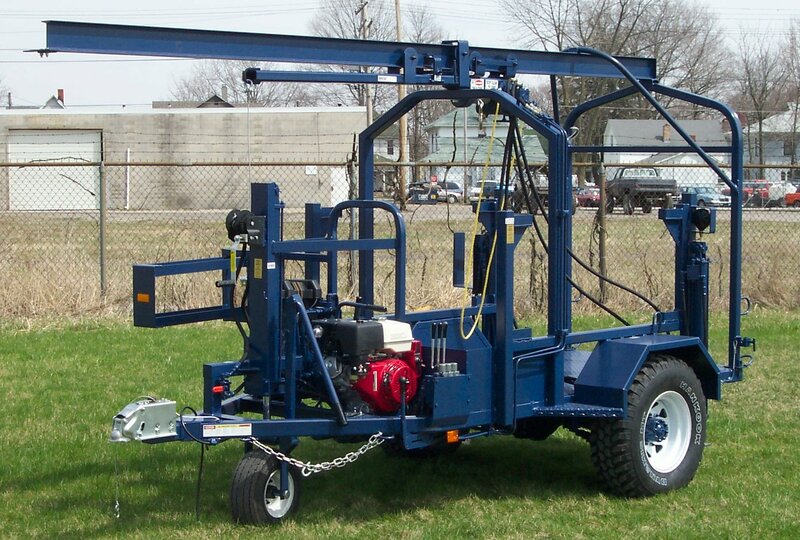 Being towable over the road, they can be used to transport, carry AND place your burial vaults. 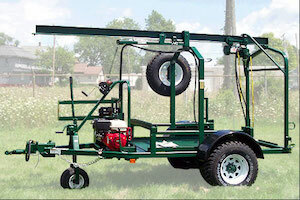 Custom options, other than those listed below, are available, upon request. 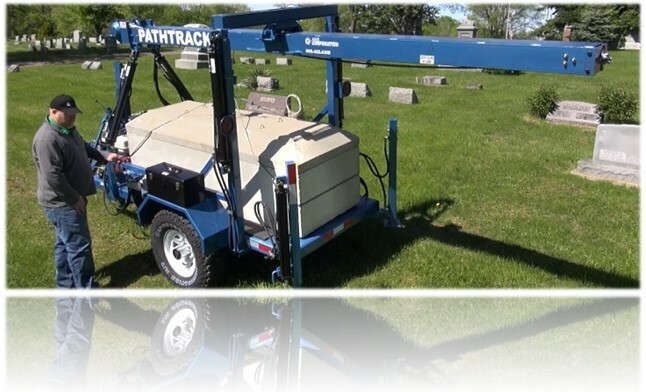 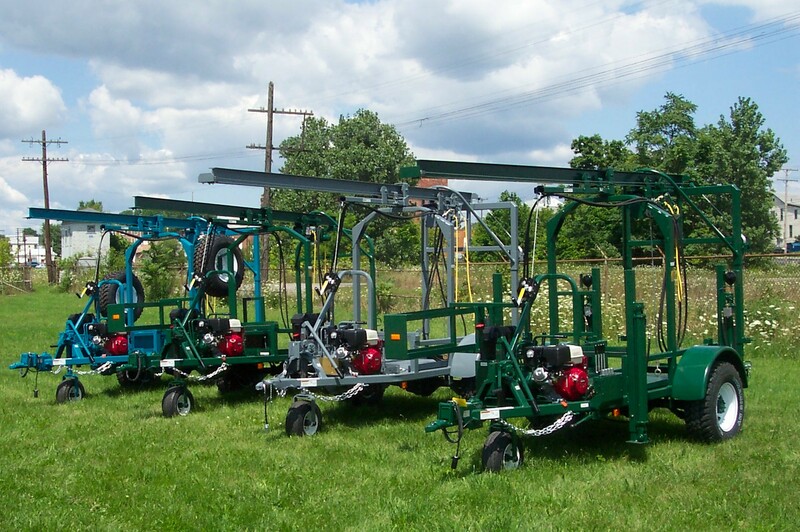 See our PathTrack II combination vault/monument handler by clicking here. 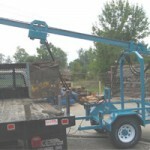 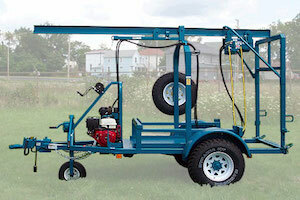 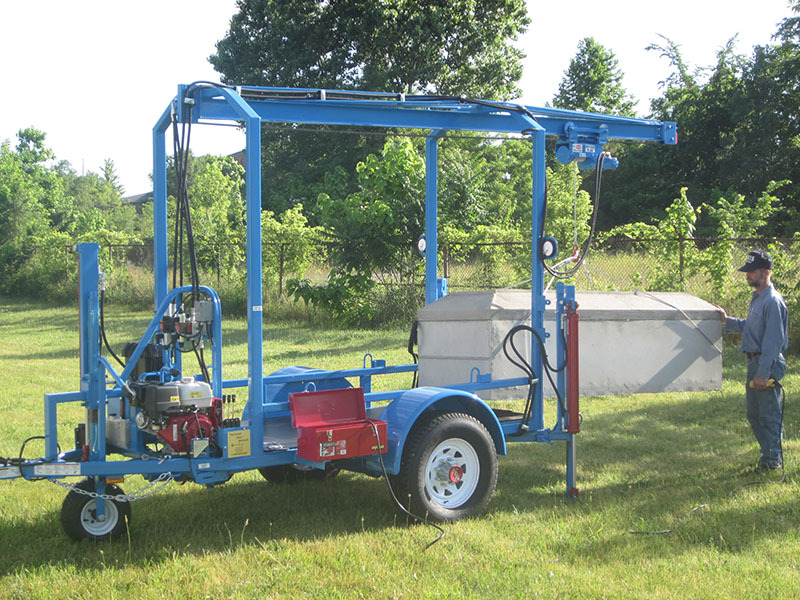 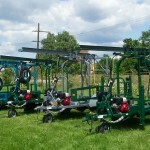 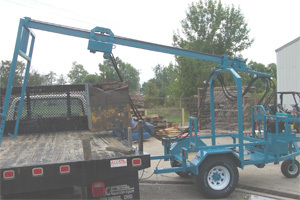 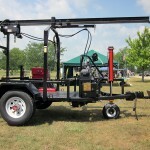 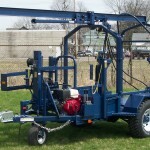 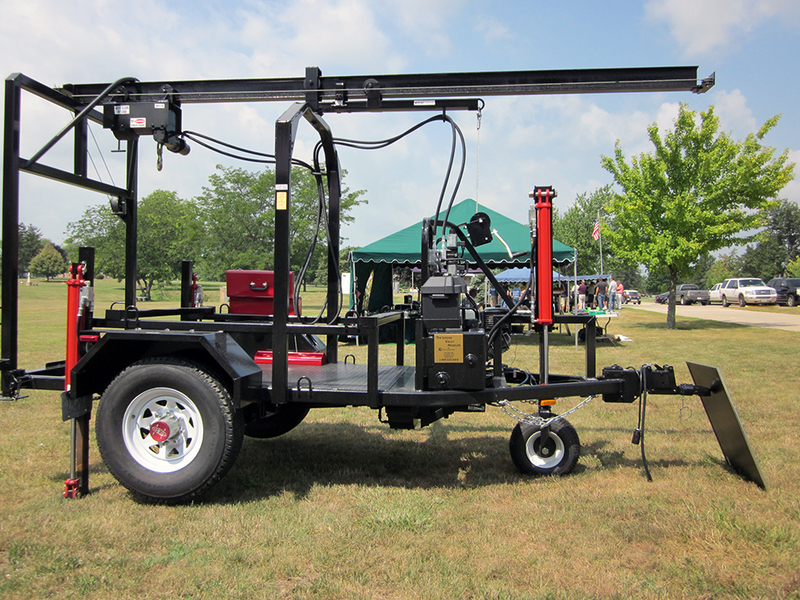 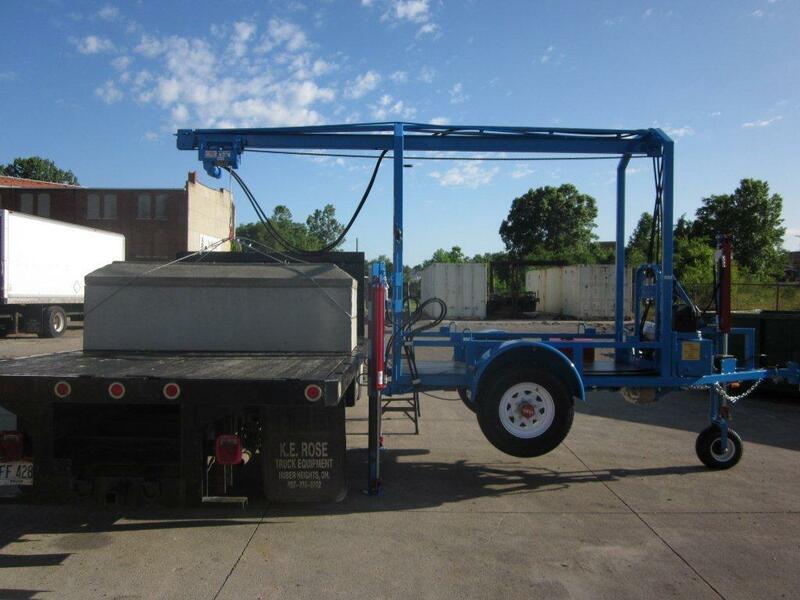 The Standard Vault Handler is also offered with a fixed boom, as shown in the photos.